Now working with Fox 5 News, Washington, and with 28 years of television experience under your belt, Seymour understands that success takes patience. After four great years of enjoying the waterfront, joining the Gamma Iota Chapter of Delta Sigma Theta, and feeding her passion for television in the former mass media arts program inside Armstrong Hall, Seymour graduated from Hampton in 1988. Seymour started her television career at ABC News Washington Bureau and worked behind the scenes as a production assistant and desk assistant. She then decided to continue her educational journey at the University of South Carolina at Columbia. After receiving her Master's of Mass Communication, Seymour worked as a production assistant and a writer for a local news station. After her first on-air job at WUTR-TV in Utica, New York. Seymour moved to WBNG-TV in Binghamton, New York and became the main anchor at the station. In Hamptonian style she made history and became the first women to be the main anchor at the station. "My four years has lasted me 28 years," said Seymour when asked how Hampton University has had an impact on her career. In 1999, she joined WTTG-TV [Fox 5] and never looked back. Hired as a general assignment reporter and midday anchor, she kept pushing her way up the Fox News ladder. 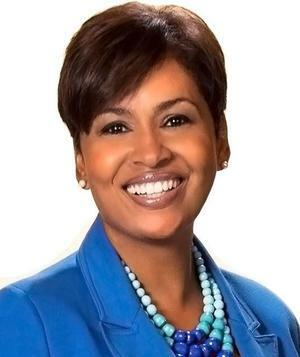 In 2007, the D.C. metro area native became main anchor at Channel 5 on "Fox 5 News Morning and" and "Good Day D.C."
Reflecting her accomplishments and where she is today, Seymour said, "The confidence I gained at Hampton helps me everyday." Due to to her hard work and dedication to television, she was inducted in the Scripps Howard School of Journalism Hall of Fame in 2012. "One of my proudest moments thus far," said Seymour. Over time, her show expanded from a three-and-a half hour show to six hours and 35 minutes show. Seymour said she is proud of everything the show has become. Now, the married mother of the three has built a supporting viewer base at WTTG-TV. She is honored to be in the anchor chair reporting on events that shape the lives of people in the D.C. community. As her journey in television continues, Seymour still acknowledges Hampton University as the place where she found herself. "Because of Hampton, I have a better sense of who I am, where I belong, and my overall worth." she said. On Sunday she intends to speak to the driven students of Hampton, pushing them towards their goals and dreams and reminding, as she reminds herself, to let their lives do the singing. Author is a student in the Scripps Howard School of Journalism and Communications.